You say panini, we say Venini... Regardless, what makes a good grilled sandwich? Which cheeses melt the best? How best to balance flavors? Today is National Grilled Cheese Day and we're going to make oodles of panini for everyone to share, using wild and wacky ingredients you might never normally consider. Prepare to eat well and enjoy a complimentary glass of wine in this fun interactive party night. Also enjoy a 10% discount on any in-store purchase the night of the party! Partake in all the featured seasonal cheeses and charcuterie you can eat, PLUS one glass of wine instead. Sorry, no sharing or take-away. Our friend and wine expert Bryan from Alluvial Wines will be pouring boutique whites and reds for you to try to kick off the spring/summer season! Of course, we'll also have samples of our favorite cheeses on hand to pair alongside. So why not stop by for a try? 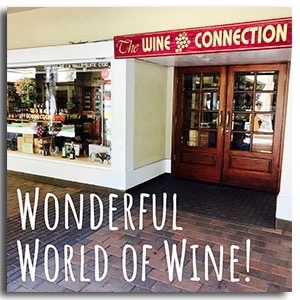 Join Venissimo & The Wine Connection for a Wonderful World of wine & cheese. This educational & fun class costs $60 and will be held at Venissimo. Tickets required and available in store or online. What's better than peanut butter & jelly? Wine & cheese, of course! We're teaming up with our neighbors at Wine Connection for this tasting adventure that is really two classes in one: wine 101 + cheese 101. You'll learn how how to pair, how they're made, how to serve and store, plus so much more. Savor our favorite pairings from around the world in an intimate and relaxing setting, surrounded by cheese, cheese and more cheese. Plus, receive a 10% discount on any in-store cheese purchases the night of the class. Start your weekend early at Venissimo Cheese at Flower Hill!